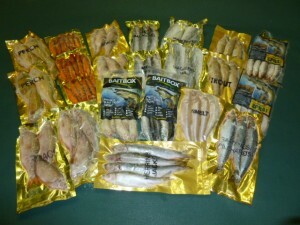 Here at Willards we pride ourselves in being ready for any occasion, and we are very well stocked for the pike season! With lots of?different?methods to catching Pike we try to cater for them all, with many different baits?spinners?and even pike flies stocked.?? ? ? ? ? ? ? ? ? ? ? ? ? 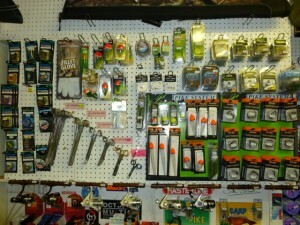 A fully stocked wall of pike gear, including forceps – Trace wire – Snap tackle – Floats and more! 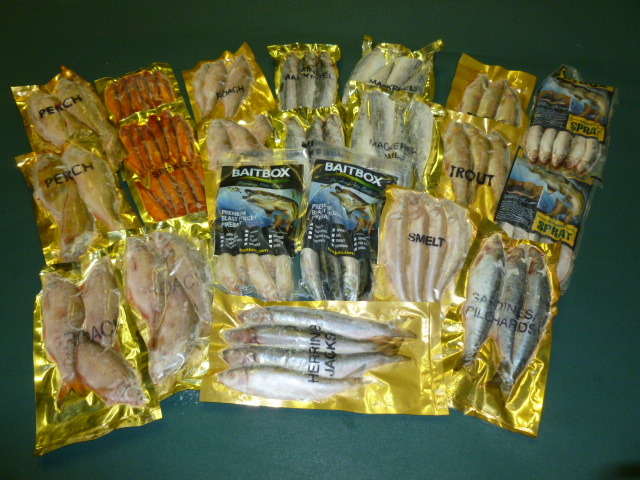 We have a good selection of dead baits?available?all year round,?these include, Perch, Roach, Mackerel Tails, Herring and many more! Dead Baits are a great way of fishing for pike in the colder months when they are less active, would you want to be chasing your food in the cold weather!!! Sometimes Dead Bait can be a little boring, to us and also?to the pike!! So why not ?spice things up with one of the?many different attractants?and dyes that we have in stock! 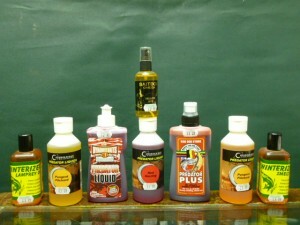 Attractants here such as predator plus, pilchard oil and even some yellow dyes! 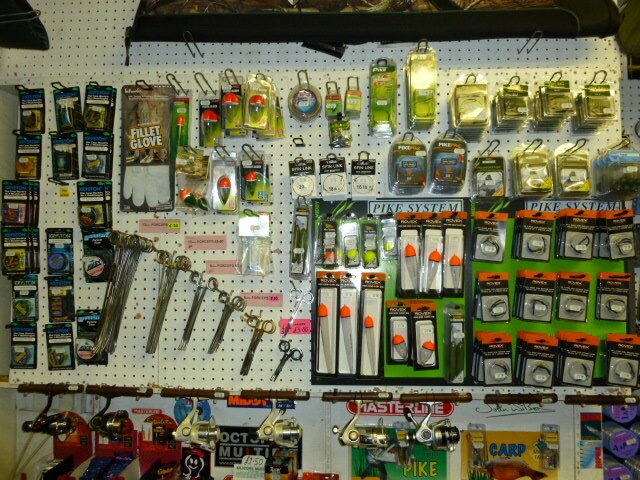 If Dead bait isnt your thing and you like to stay on the move roving along the bank. Check out our wide selection of hard and soft Lures, Sinking Floating or Popping! ! ! ?Lures and spinners are recently proving a great success with Tim Ray the owner of Willards Bagging two lovely perch (seen pictured in the Angling Times) both on Spinners. 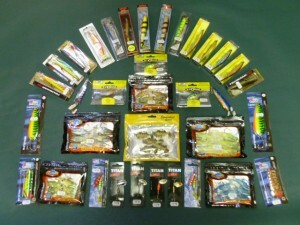 A range of lures, which grows in the summer months ranging from rapala to newer versions by ryobi. 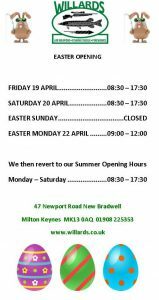 If you are unsure about Lures or spinners or have never tried them before, dont hesitate to come and see the selection, just ASK Dave, Alan, Tim or Tom any questions you have as they all use Spinners and Lures on the rivers and in the lakes!